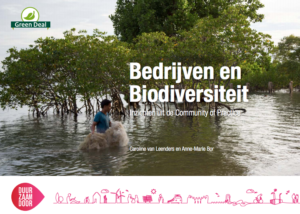 Companies with ambitions to preserve biodiversity can learn from each other’s experiences in a Community of Practice where collaboration has emerged. The transition is accelerated by sharing knowledge on the relation of companies with ecosystems. The CoP Business and Biodiversity led to a new CoP in the financial sector and to the Green Deal Green Roofs .